Fernando Ordonez is a firefighter paramedic for the City of Miami. He is assigned to downtown station 1 on the Hazardous Materials Team, as the HazMat driver. 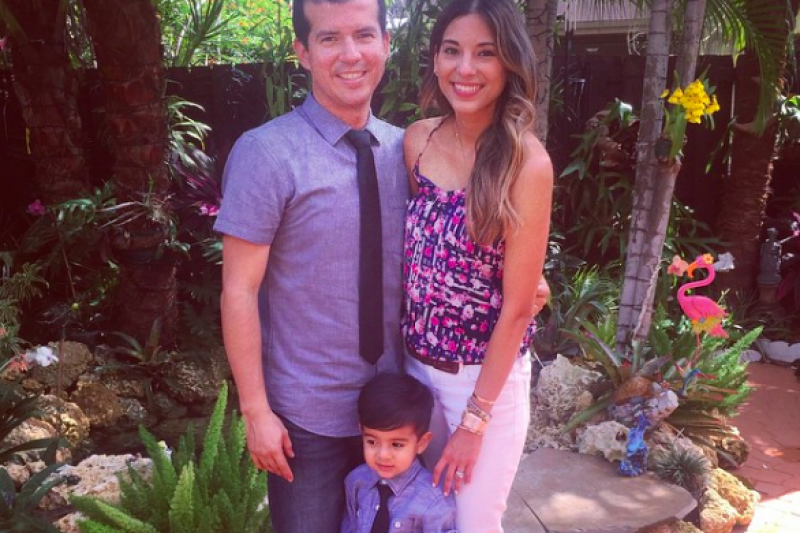 Fernando is 33 years old, married to his supportive wife, Carmen. They have a two year old son, Andres. Fernando known to all as Fernie, is a compassionate and caring guy, always there when one is in need. Fernie has served his community for over a decade, and now he is in need of our help. In December 2014, Fernie began to experience excrutiating stomach pain. While seeking medical help at Mt. Sinai Hospital in Miami Beach he found that he had malignant ascites. After doing an endoscopy they found he had cancer cells from the biopsy taken. Within a few days from the onset of his symptoms he was diagnosed with stage 4 gastric cancer that had spread to the peritoneaum. Fernie is fighting this cancer with the positive attitude and strong faith that he is known for. He is on his third chemotherapy treatment. We are asking for your support to help Fernie in his fight with cancer. Any amount of donation is highly appreciated. It will help with the mounting expenses and medical bills. Thank you for taking the time to read this and God bless. It is with deep sadness that we let you know that Fernando passed away on October 1st to be with the Lord after a brave year-long battle against cancer. There are no words to express the pain and how greatly he will be missed. He leaves behind his wife and 2 year-old son. Funds donated here will go towards his son's college fund and other expenses the family may incur. Fernando has been in the hospital since August 25th. They are controlling his pain with around the clock pain medication and has not been able to eat since he was admitted (currently only receiving IV's). His wife has been staying with him at the hospital, while his parents take care of their 2 year old son. Fernando and his family wanted to take a second to thank you for your donations and for sharing this GoFundMe Page. It really means a lot to them and has helped eased the financial burdens that come along with fighting cancer. They continue to believe in miracles and know this will all be used for God's glory. Wanted to share a quick update. Fernando had to go to the emergency room today for severe pains and was admitted to the hospital. His family asks that you please keep him in your prayers for his complete healing. We believe in miracles and in the power of prayer. "Again I say to you, that if two of you agree on earth about anything that they may ask, it shall be done for them by My Father who is in heaven. For where two or three have gathered together in My name, I am there in their midst." Hi everyone, wanted to give a quick update on Fernando's condition since being diagnosed with Stage 4 Gastric cancer in December 2014. After undergoing conventional treatment (toxic chemotherapy) the oncologists have told him there is nothing else they can do. He is going through horrible pains and is having to go to the hospital almost every week to have ascites drained (fluid in the abdomen) and has already lost 60 pounds. 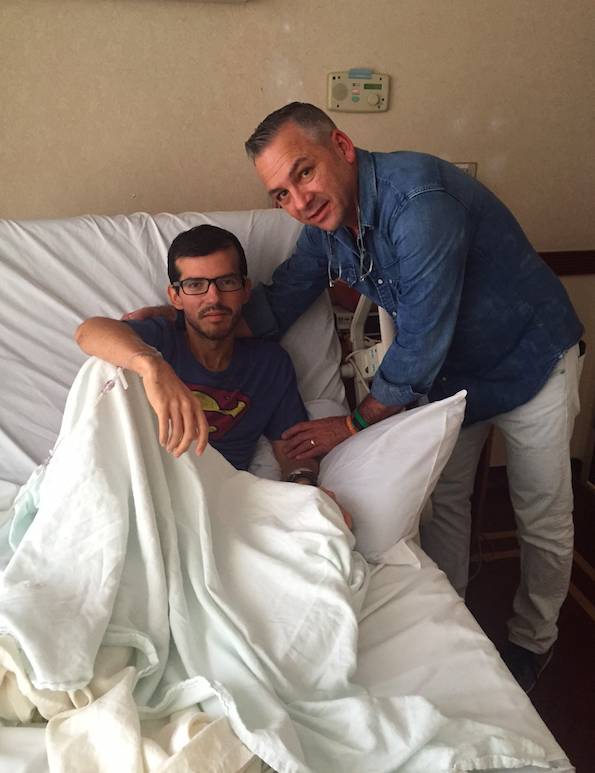 Fernando is fighting strong and his faith is in God, knowing that there is nothing impossible for him. After much prayer, and given that U.S. doctors have given him no hope, he and his family have decided to seek alternative treatment in Mexico. The alternative hospital has successful stories with stage 4 cancer survivors that chose a healthier (non-toxic) way to treat cancer. It combines the latest in non-toxic, evidence-based medicine that selectively targets cancer cells, while rebuilding the immune system. Fernando's (as with most health insurances) does not cover alternative treatments, which is why they need your help. The cost of treatment is $42,000. Your generosity (big or small) means so much to us, but even more so to Fernando and his family. Carmen, My sincerest sympathies to you and your family. You are in my prayers. May God give you the strength to move forward through this difficult time. Fernando (Fernie) Ordonez, is a City of Miami Fire-Rescue Firefighter/ Haz-Mat Driver/Specialist/ Paramedic, was recently diagnosed with Cancer. Those of you that know him, or if you don't, please donate to this cause.! All donations will pay for medical bills that incur during this fight for Fernie to BEAT THIS ! Thank You! From all your friends on the Banquet Team. RIP. My prayers to the family.